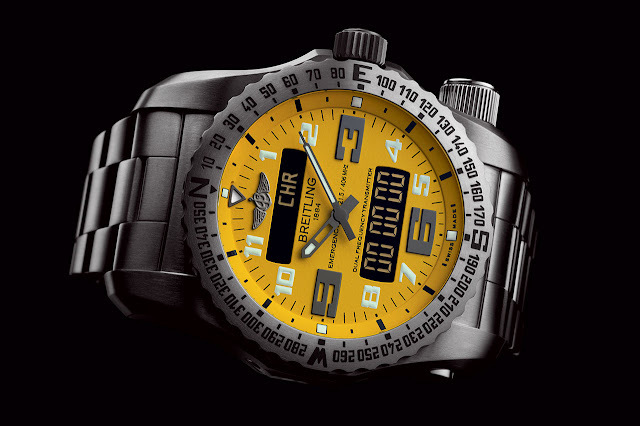 Breitling once again plays a pioneering role in the field of technical watches and instruments for professionals by creating the Emergency II, the very first wristwatch equipped with an authentic dual frequency distress beacon. This miniaturised high-tech marvel is equipped with a microtransmitter alternately using two separate frequencies over a 24-hour period – in compliance with Cospas-Sarsat specifications – and serving both to signal the alert and to guide search and rescue operations. Developed in conjunction with major scientific institutes, the Emergency II is distinguished by a number of innovations, including a revolutionary rechargeable battery, a dual frequency transmitter and an integrated antenna system. 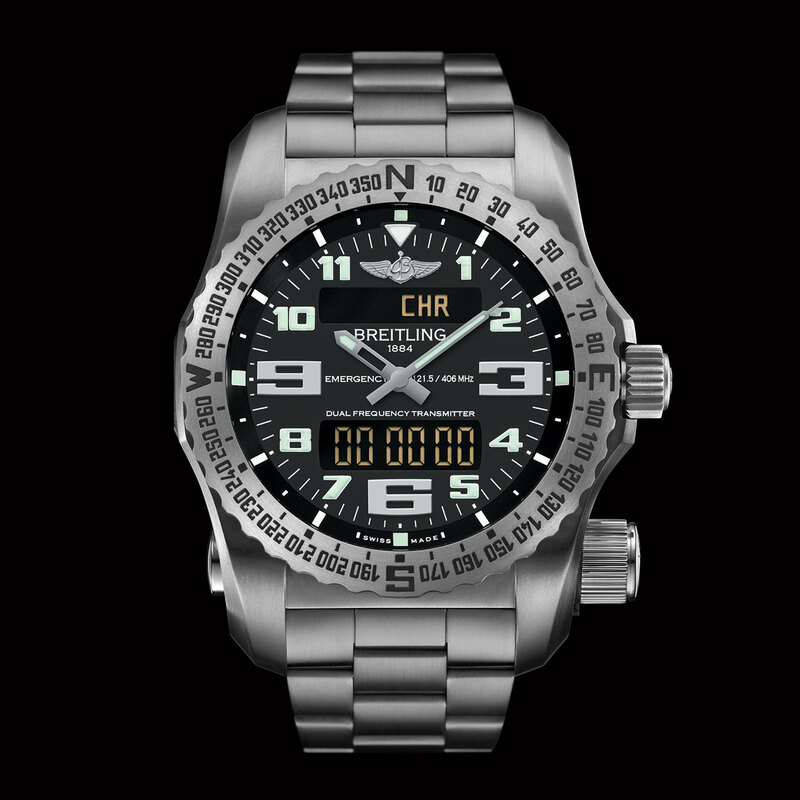 But it is also a multifunction chronograph endowed with a range of functions including 12/24-hour analog and digital displays, 1/100th of a second chronograph function, alarm, timer, second timezone, multilingual calendar and battery end-of-life indicator. On the aesthetic level, it comes in a choice of three dials and fitted with a titanium bracelet or rubber strap.